The cafeteria at The Lakeview Shock Correctional Facility in upstate New York. Most unincarcerated people don’t give prison food much thought, let alone the idea of vegan prison food. 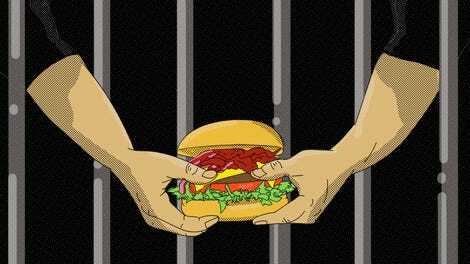 But California state senator Nancy Skinner says offering prisoners vegan meal options would be beneficial to their health and to the reduction of greenhouse gases. She’s introduced a bill, SB 1138, which would require institutions—including prisons, hospitals, and nursing homes—to offer plant-based meals. “Most importantly, I want to make sure we’re being fair and giving those in institutional settings food options that meet their individual needs,” Skinner said in a press release announcing the bill. The release also states that though vegan and meat-free diets are on the rise nationally, people in institutions aren’t always offered the choice of a plant-based meal. The bill would ensure choices for people who forgo meat for health, religious, or “ethical dietary” reasons. California correctional facilities currently provide vegetarian options to inmates, but many still contain egg or milk products, according to the bill’s text. 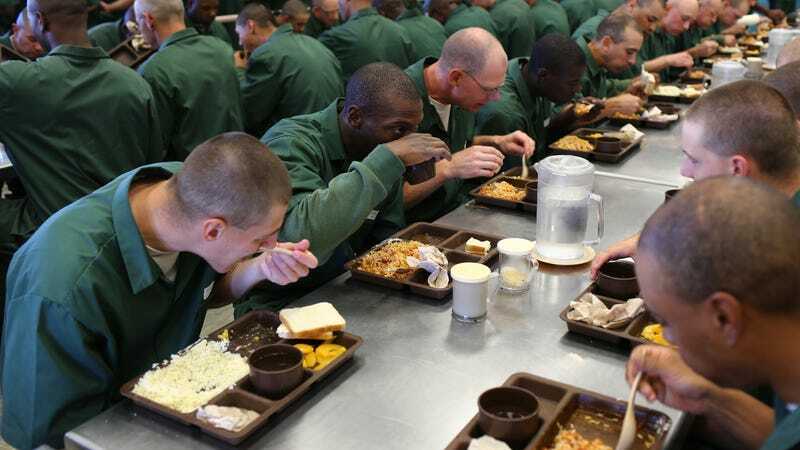 Now This News reports about 12,000 of the state’s 129,000 inmates receive special meals: “Meals for people with religious preferences, whether it’s Kosher, Islamic or vegetarian. We have many options, but most of our inmates get a standard diet,” Bill Sessi of the California Department Of Corrections told Now This News. Given the low budget designated for inmate meals—which leads to ubiquitous bland mush—it’s tough to imagine how California could come up with vegan meals that are in any way appealing. At least it might put an end to the “mystery meat” question if people knew it was never meat in the first place.